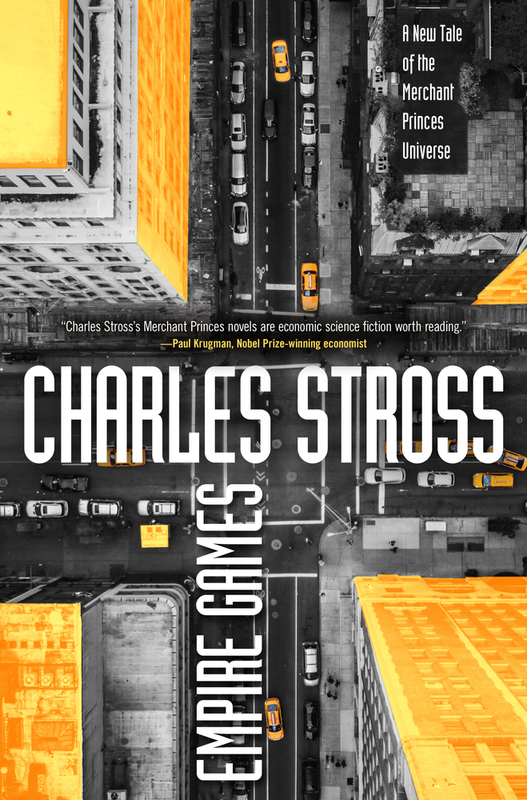 Hugo Award-winning author Charlie Stross hits the ground running with Empire Games, provocative techno-thriller and fresh storyline in the Merchant Princes universe. It’s 2020. Two nuclear superpowers across timelines, one in the midst of a technological revolution and the other a hyper-police state, are set on a collision course. Each timeline’s increasingly desperate paratime espionage agencies are fumbling around in the dark, trying to find a solution to the first-contact problem that doesn't result in a nuclear holocaust. And two paratime travellers, Ministry of Intertemporal Research and Intelligence Commissioner Miriam Burgeson and newly minted spy Rita Douglas—a mother and her long-lost, adopted daughter—are about to find themselves on opposite sides of the confrontation. Charles Stross is the author of the bestselling Merchant Princes series, the Laundry series, and several stand-alone novels including Glasshouse, Accelerando, and Saturn's Children. Born in Leeds, England, in 1964, Stross studied in London and Bradford, earning degrees in pharmacy and computer science. Over the next decade and a half he worked as a pharmacist, a technical writer, a software engineer, and eventually as a prolific journalist covering the IT industry. His short fiction began attracting wide attention in the late 1990s; his first novel, Singularity Sky, appeared in 2003. He has subsequently won the Hugo Award twice. He lives with his wife in Edinburgh, Scotland, in a flat that is slightly older than the state of Texas.